Welcome to the Student Ministry blog of Lone Oak FBC. We Love God by abiding in God. We Grow in Faith by developing spiritual disciplines. 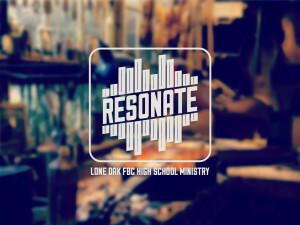 Our High School ministry is called Resonate. To resonate means to be filled with and produce a deep and resonating message. We desire to see our High School students filled with the Holy Spirit through a relationship with Jesus Christ and then produce a life that RESONATES the life of Christ. We also desire to see High School students RESONATE the overall purpose of our student ministry. 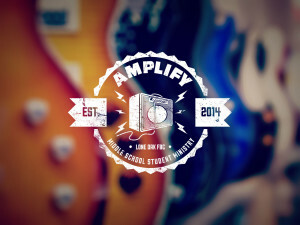 Our Middle School ministry is called Amplify. To amplify means to increase the sound or become more marked by a message. We desire to see our Middle School student AMPLIFY the message of the Gospel as Christ amplifies that message in their life. We want them to turn up the volume of Christ in their life by being connected to the power source, the Holy Spirit. We also desire to see Middle School students AMPLIFY the overall purpose of our student ministry. These two ministries within the Student Ministry of Lone Oak FBC allow us to serve our Middle School and High School students better. Subscribe to our blog and receive email updates every time we post.